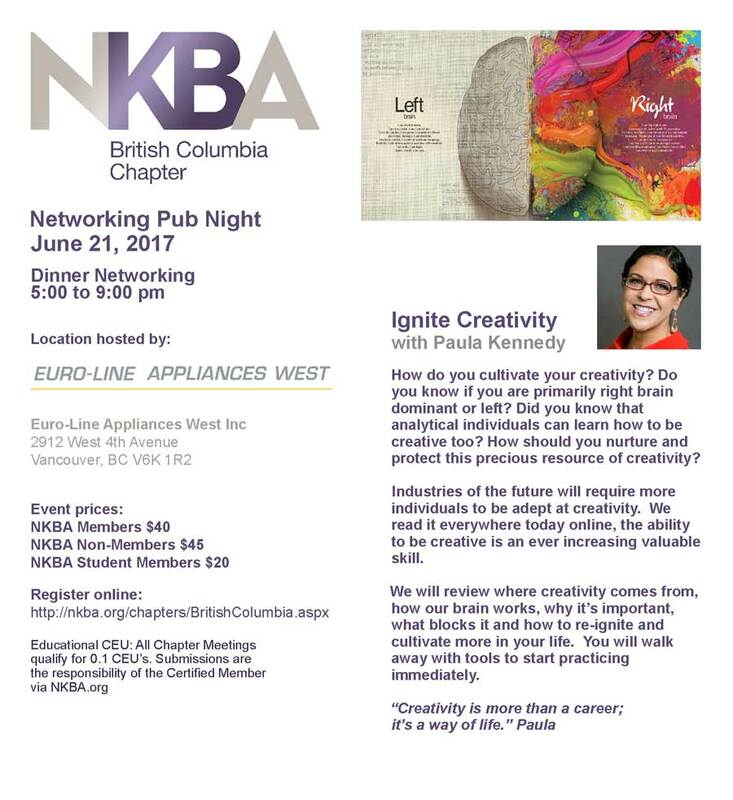 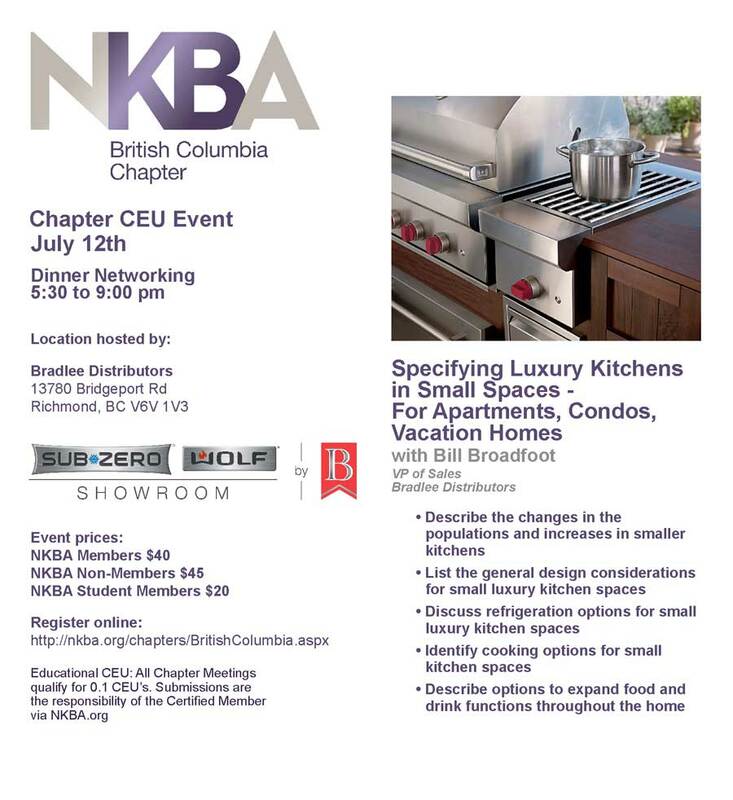 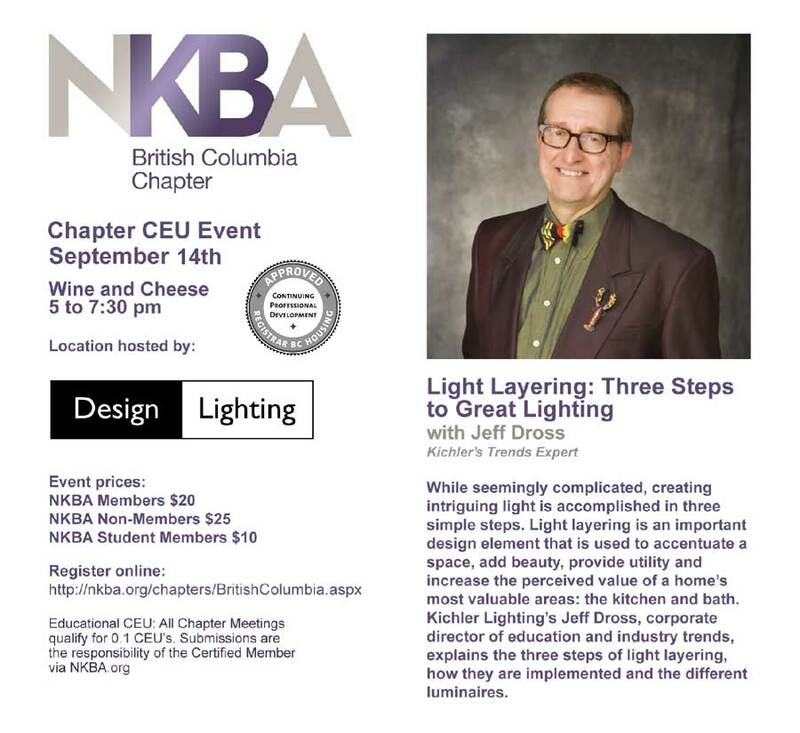 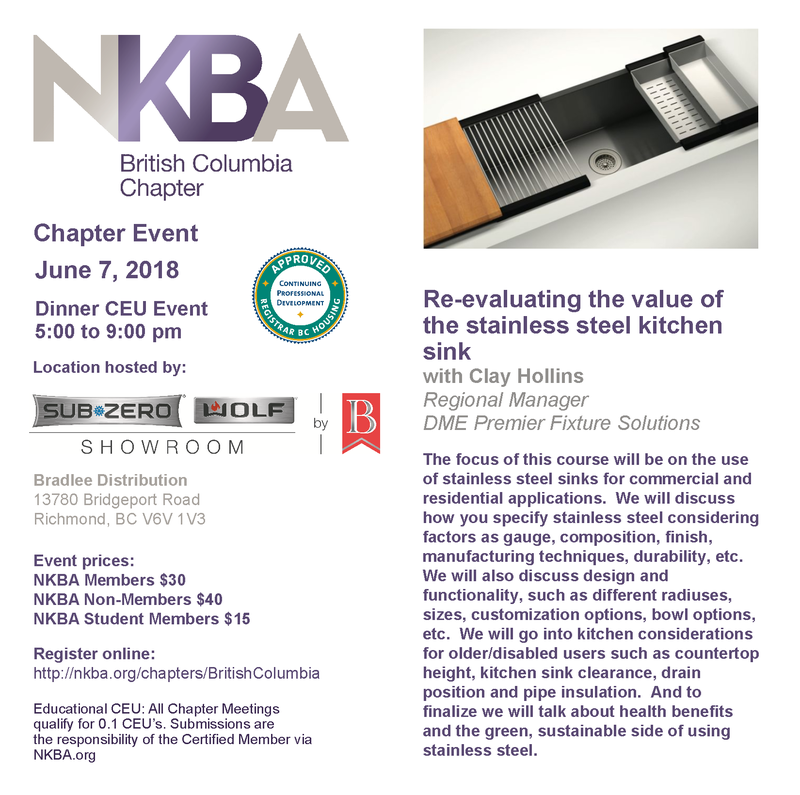 NKBA British Columbia is a member community at a provincial level to facilitate membership engagement and professional development and act as consumer advocate for our members while being financially viable. 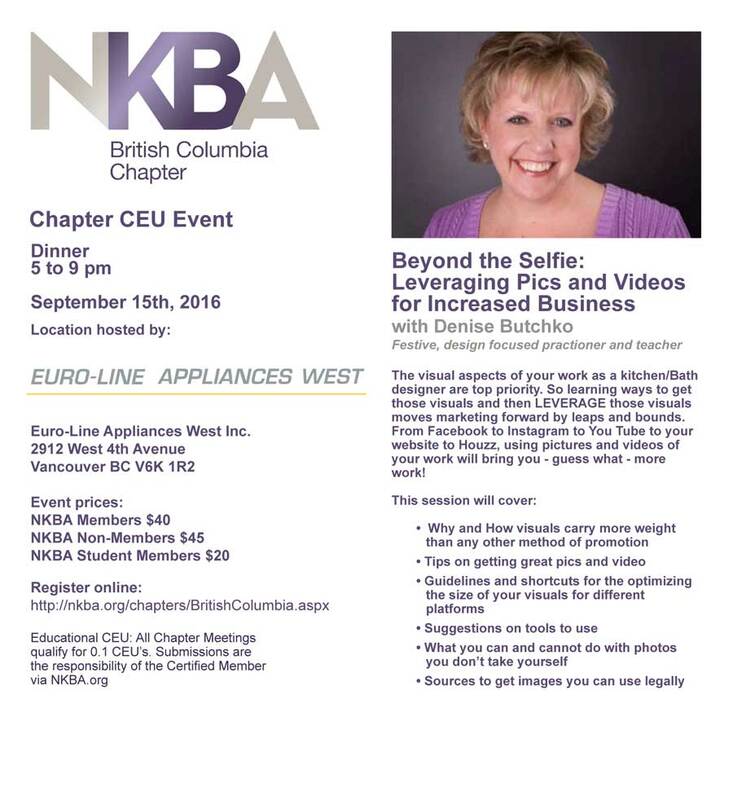 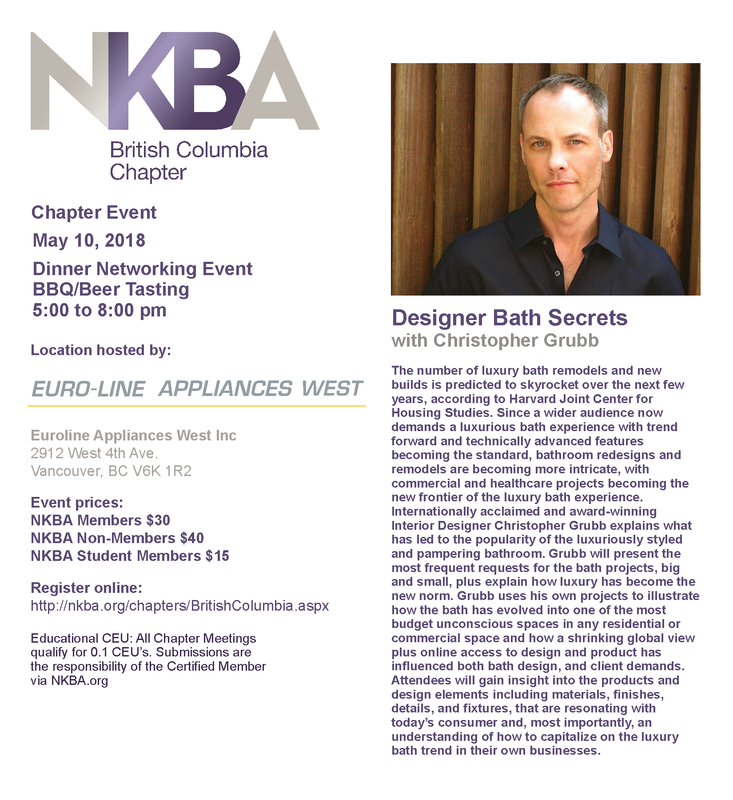 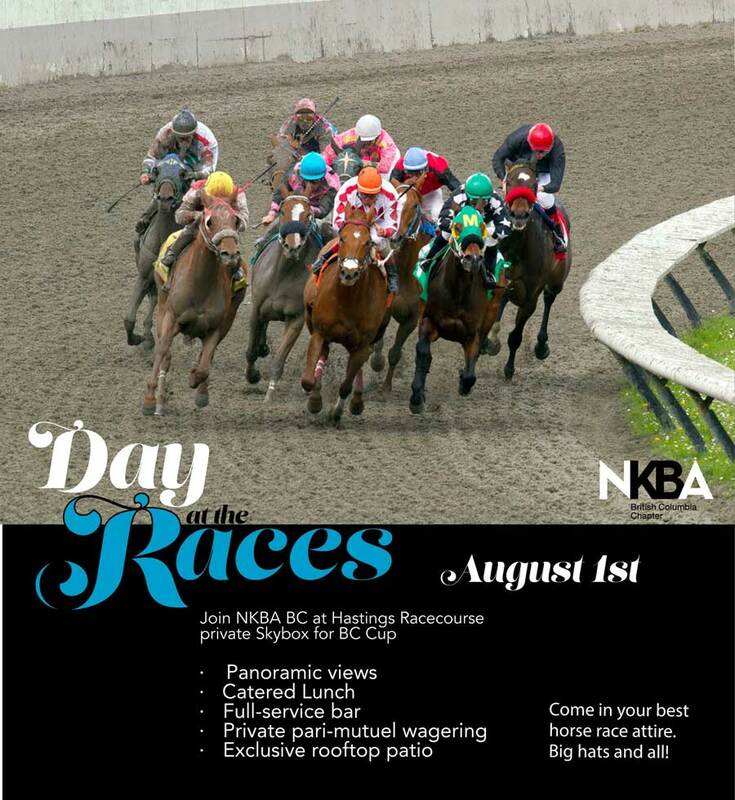 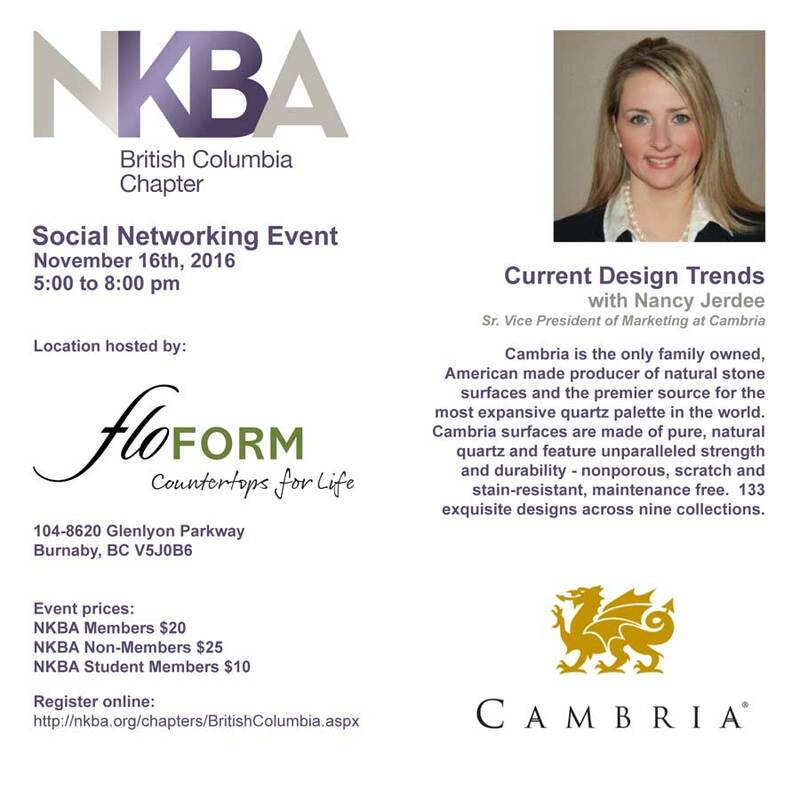 Click here to visit the NKBA British Columbia website. 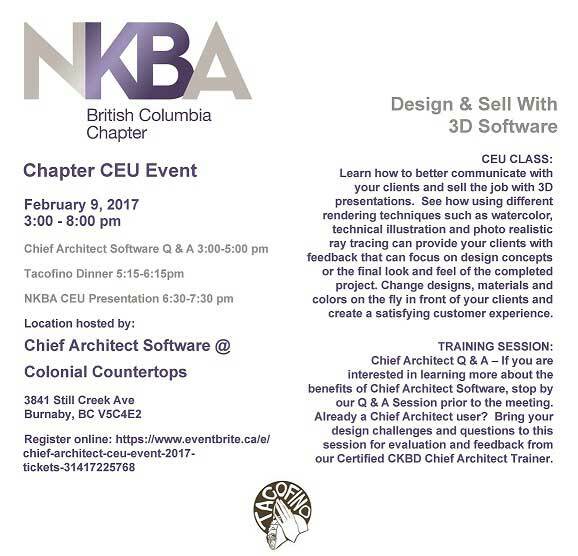 CEU by Christopher Grubb . 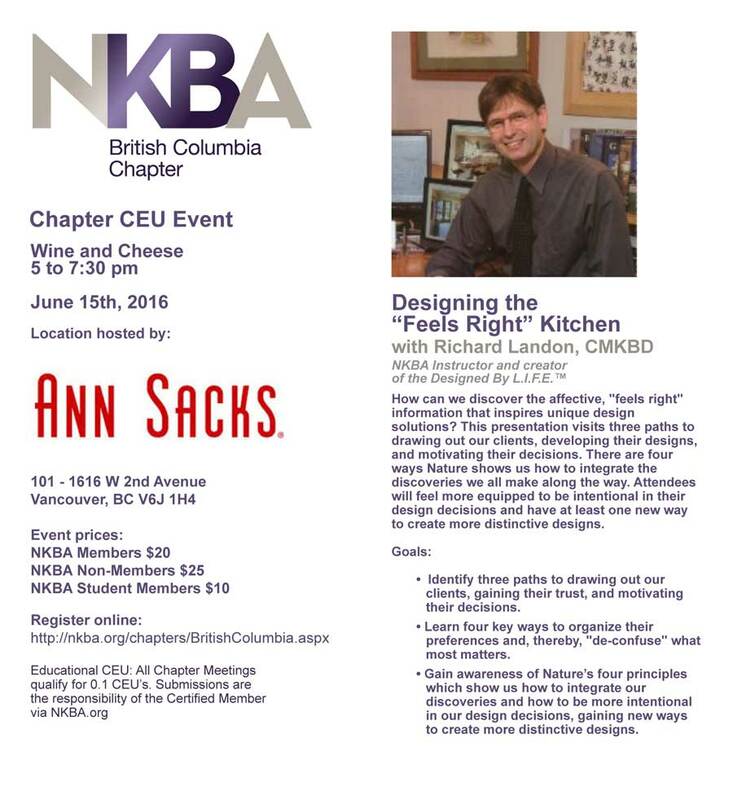 Universal Design is not a new concept; however, it is time for a paradigm shift. 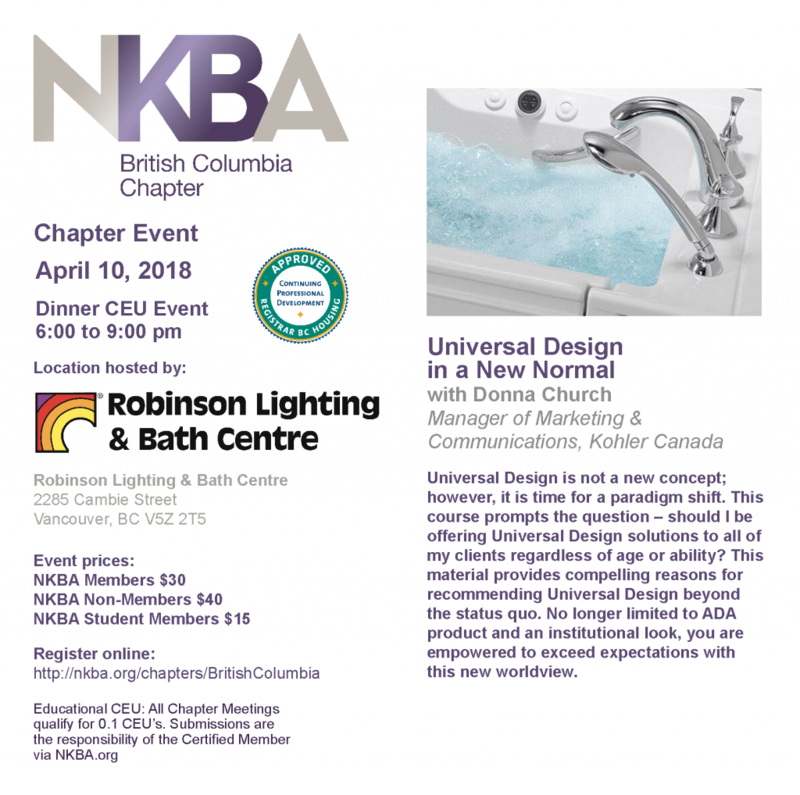 This course prompts the question – should I be offering Universal Design solutions to all of my clients regardless of age or ability? 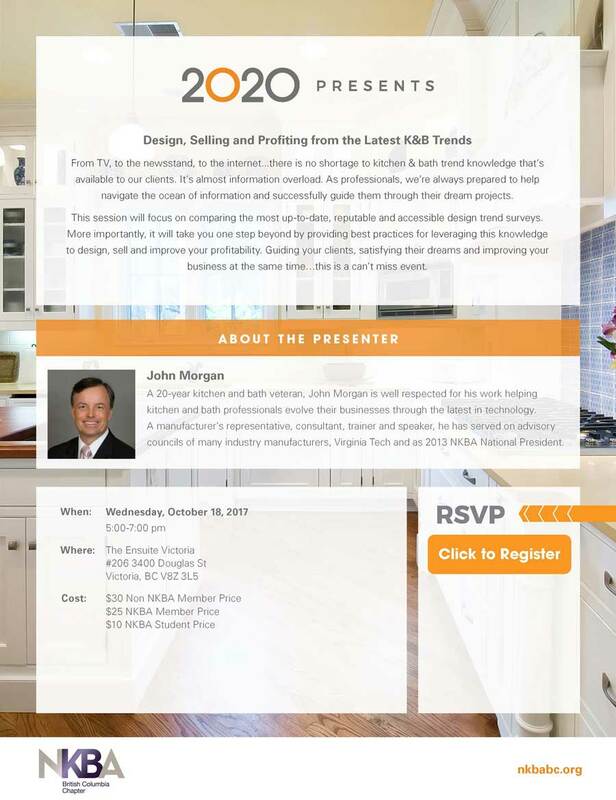 This material provides compelling reasons for recommending Universal Design beyond the status quo. 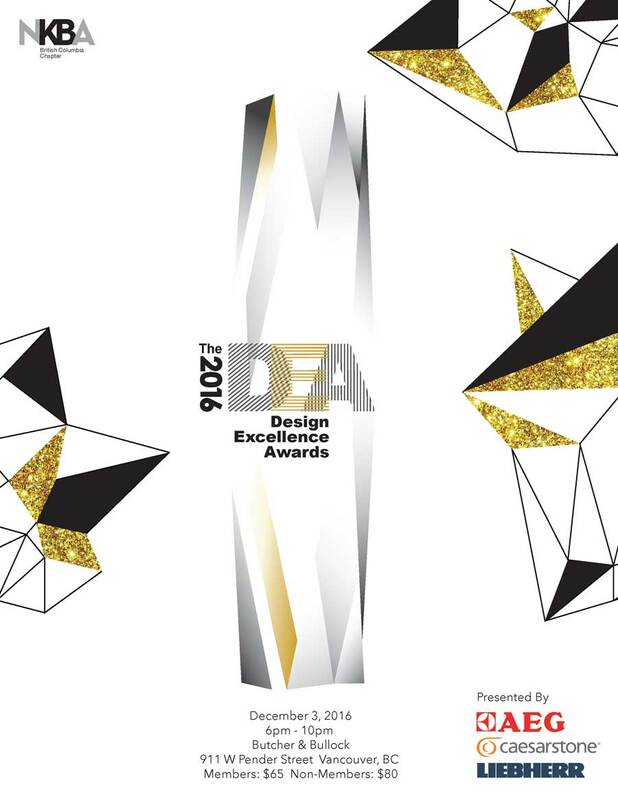 No longer limited to ADA product and an institutional look, you are empowered to exceed expectations with this new worldview. 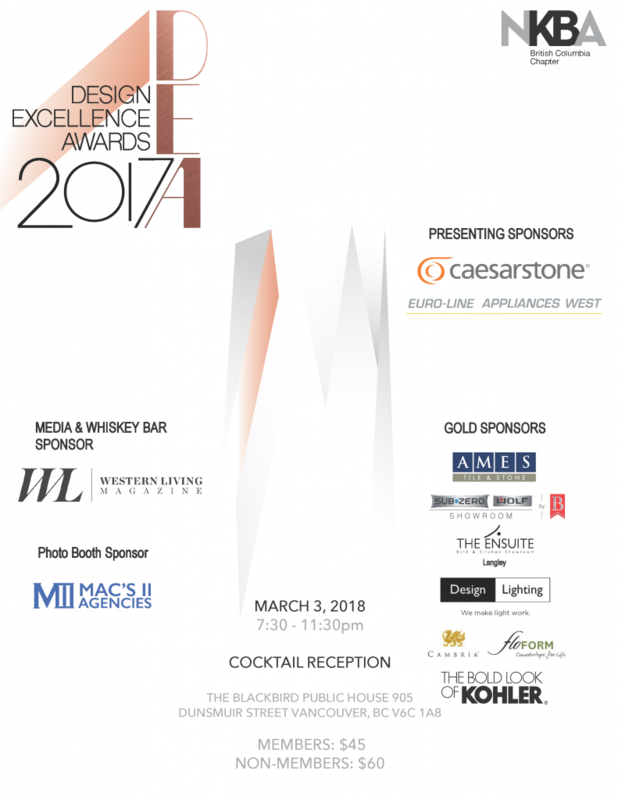 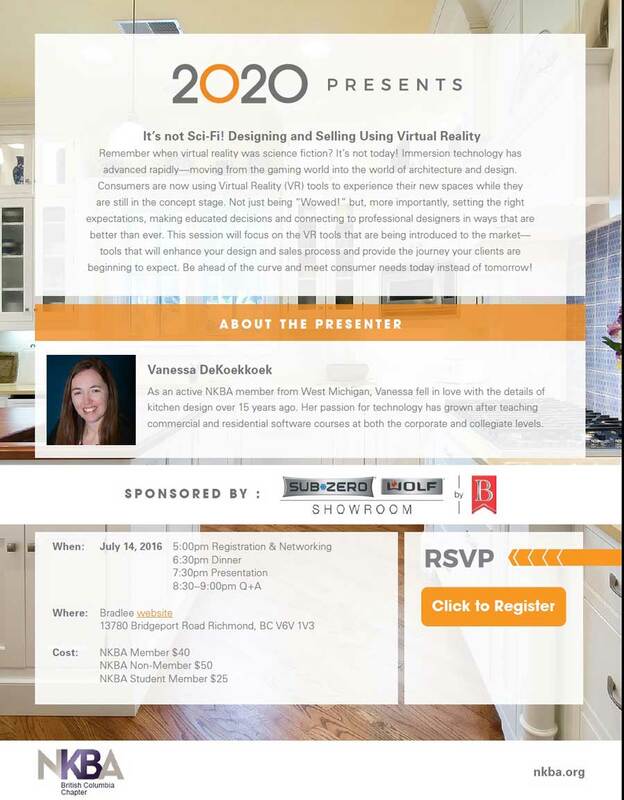 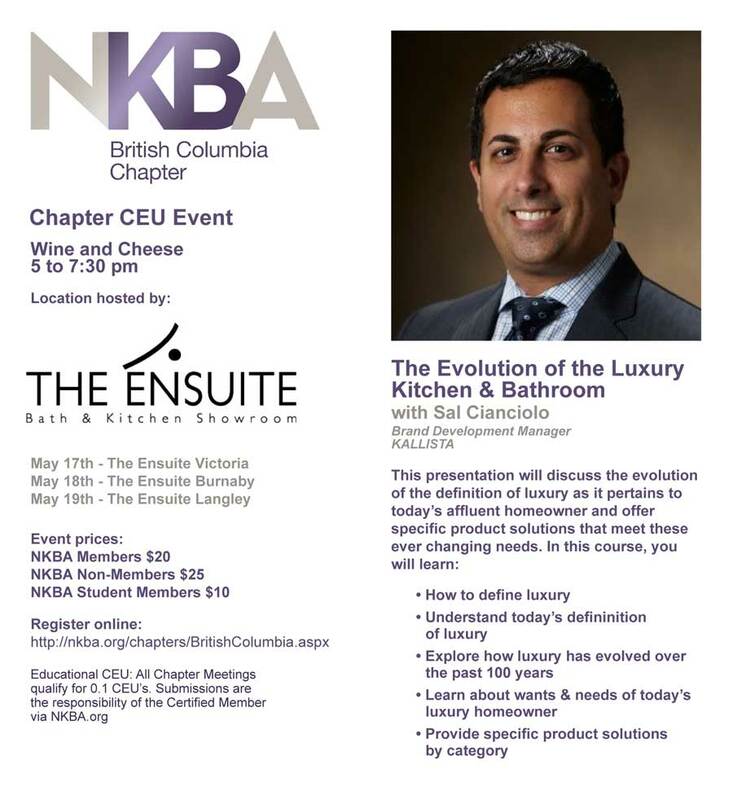 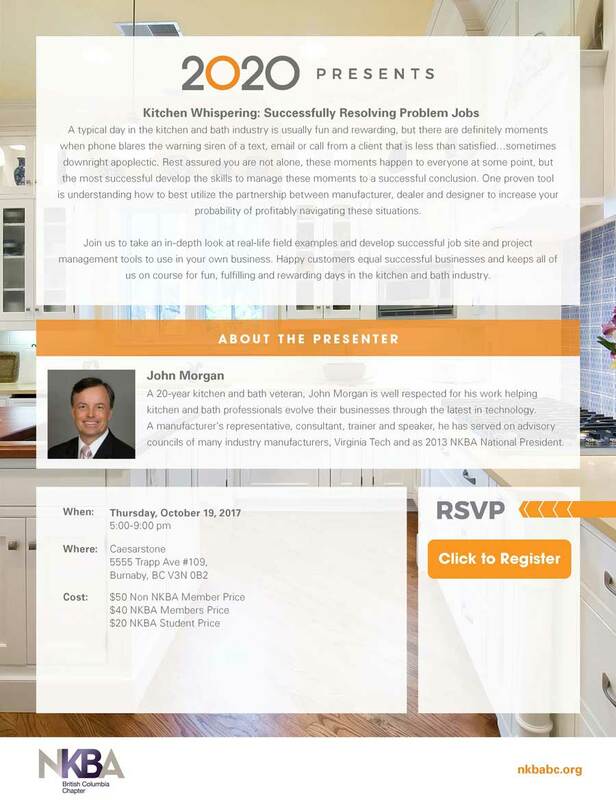 Back by popular demand, Sal Cianciolo, Brand Development Manager from Kallista, will be presenting a CEU in “The Evolution of Luxury Kitchen and Bathroom”. 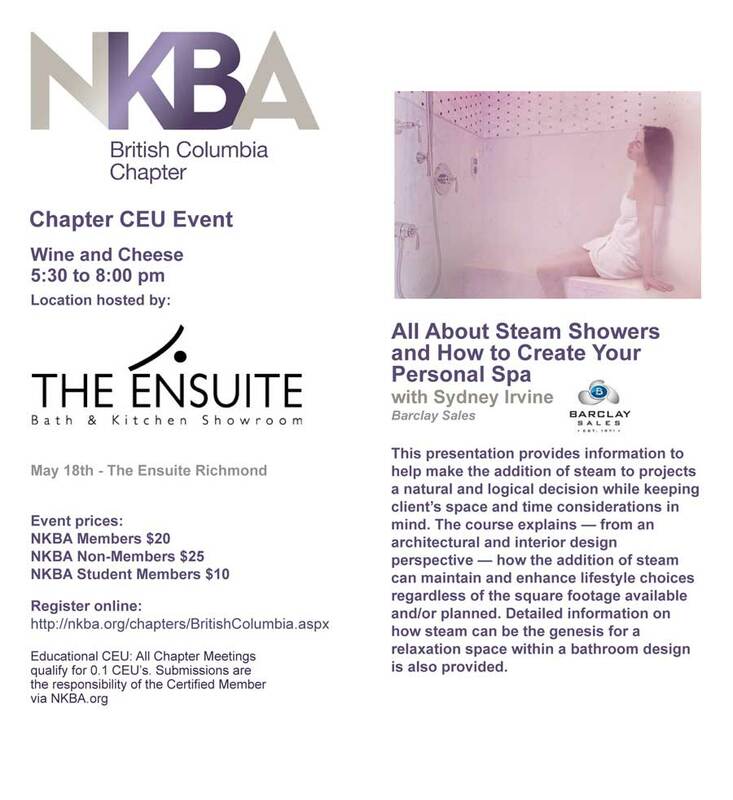 We will be hosted by our NKBA Member The Ensuite: @ locations in Victoria, Burnaby and Langley. 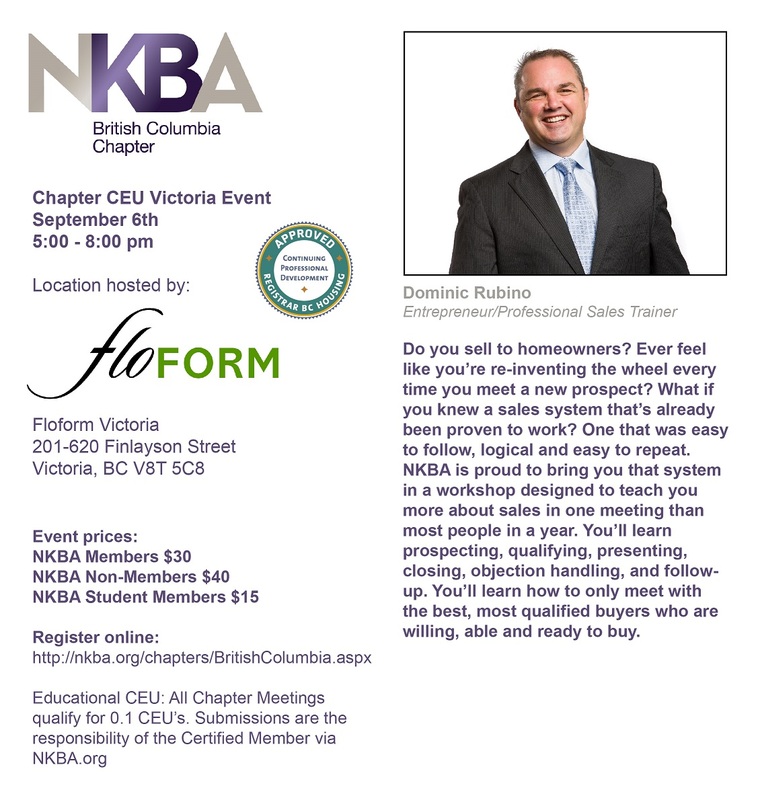 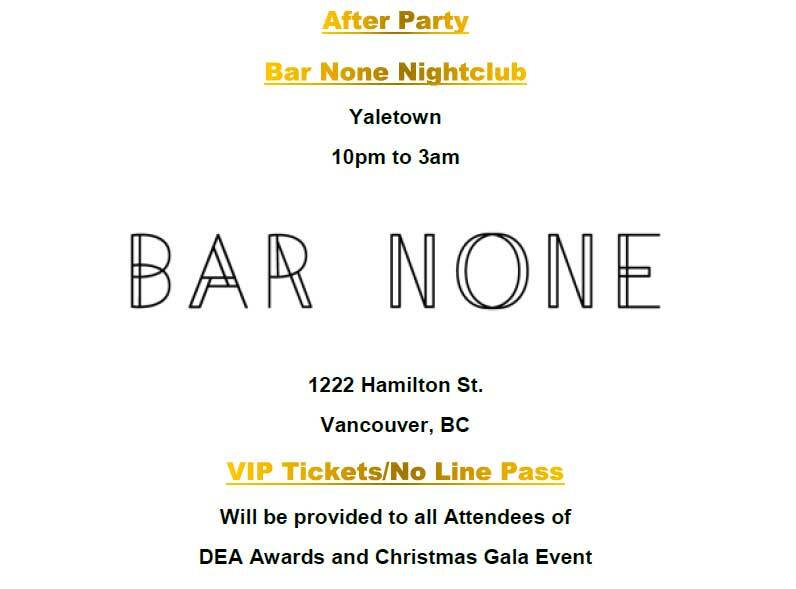 Please join us at your most convenient date/location!